against Ransomware, Spyware, Malware. AVG Antivirus Business Edition also come with the AVG Remote Admin that allow you to management your AVG installation, update and scanning remotely from one machine. 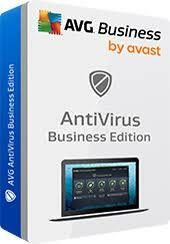 The selling price of AVG Antivirus Business Edition( before GST 6% ) are listed in the links below. The list is for user base up to 200 users. If you need us to quote on larger license with more than 200 users, you can WhatsApp to us at 019-3256289 or call us at 603.89449965 , 018-2374289 or email us.